Jayna, one of our certified dental assistants, has been with us since the spring of 2018. She brings her gentle touch and caring demeanor to help serve patients alongside Dr. Reckling and Dr. Seaborn. Her positive attitude is contagious, and patients are at ease in her presence. 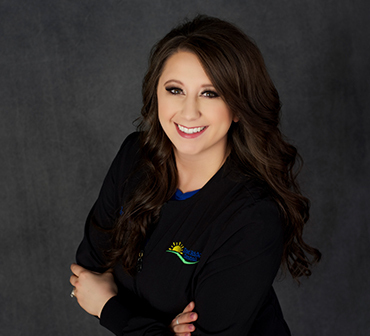 Jayna’s 7 years of experience in pediatric dentistry helps make even the littlest of patients feel comfortable. Jayna is originally from George, Iowa, but now calls Crooks, South Dakota home with her husband, Joe, two children, Boston and Brystal, two dogs, Linda and Roxy and cat, Gary. Her hobbies include spending time outside and being with her family and friends.